Beautiful graphics for a beautiful publication from generous people!!! We just received these beautiful books in our mailbox, great! The authors of our last article of the Issue 03 are croatian architects Tatjana Liktar Elez and Kristina Careva. 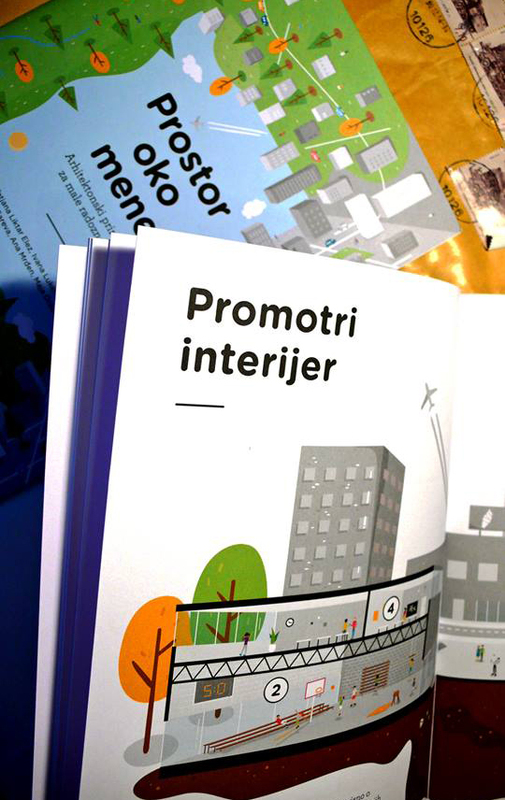 They are the authors of the architectural handbook for children “The space around me” (croatian: “Prostor oko mene”), published in February 2014, which won the UIA Architecture & Children Golden Cubes at the national level. The theme of the workshop links to the themes explained in the handbook – interior and exterior – as two parts of the same built environment that surrounds us. Wayous kids testing the article by Museo de Arquitectura Leopoldo Rother (Bogota, Colombia). Soon on your nearest screens!